It's probably my most favorite thing in the world. And cheesy as it sounds, I also like flowers, especially the ones made of paper. 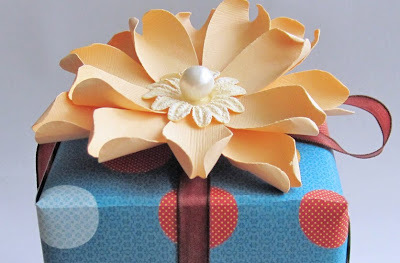 So, for the last 2 years, making paper flowers has brought me so much joy that I still like to think of new techniques and tools to create oh-so-many different shapes. Check out my latest creation. 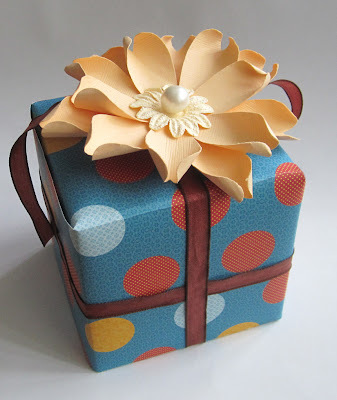 I bought beautifully textured paper yesterday, and today I made this paper flower that I think adds loads of charm to any gift box. To see more pics, please visit my Etsy shop.